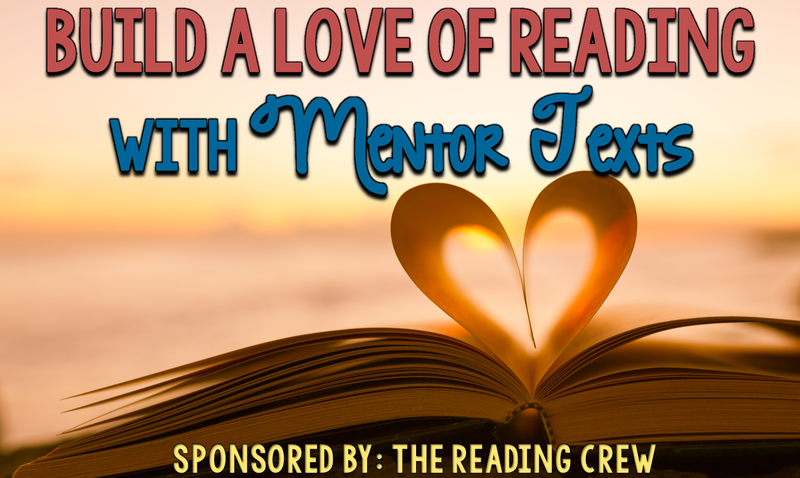 Build a Love of Reading with Mentor Texts! 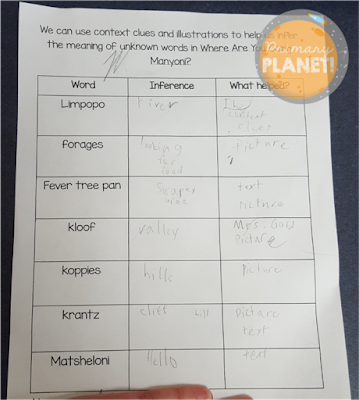 Using Context Clues with Baloney (Henry P.). | Primary Planet! 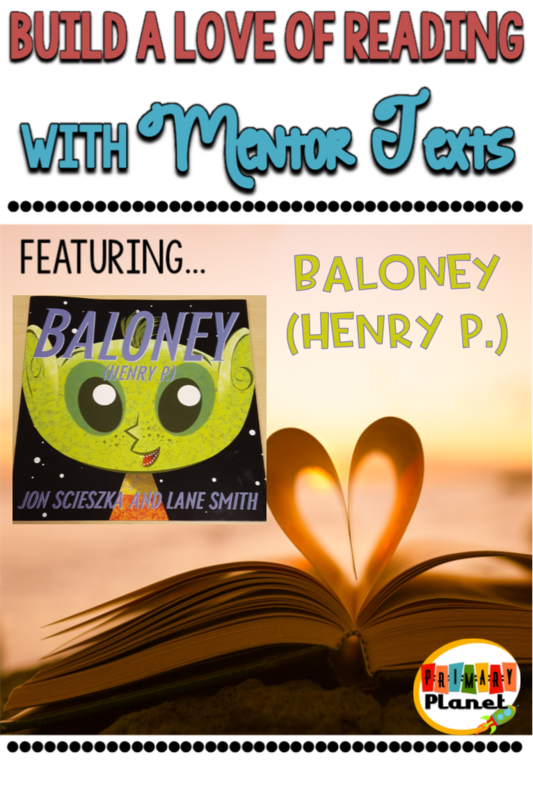 Build a Love of Reading with Mentor Texts! Using Context Clues with Baloney (Henry P.). It's a very important skill for reading students to have! 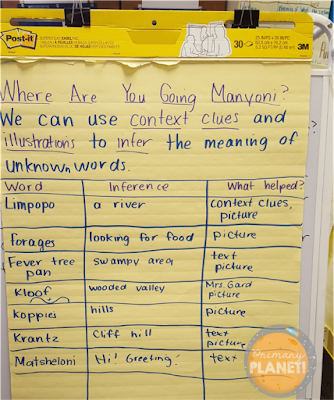 Using context clues to infer the meanings of unknown words! I have two great books to help you to teach Using Context Clues to infer the meaning of unknown words. So, when I first introduce this skill my to kiddos, I use Baloney (Henry P.) by Jon Scieszka. Poor Henry is a little alien late for szkola again. His teacher is going to give him lifelong detention unless he can come up with very good, very believable excuse. Do you think she gets one? Henry uses lots of great alien words in this book such as zimulus and deski. The pictures give us great clues to what the words may mean! 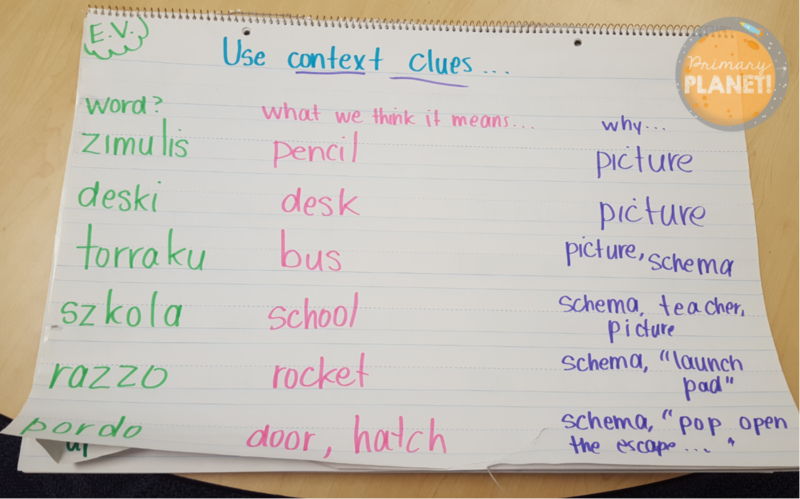 Perfect way to introduce using context clues! Henry is just adorable isn't he? We usually do this one together as a class. Nope, it's not super fancy. The E.V. in the corner is for Expand Vocabulary. Where are You Going Manyoni by Catherine Stock. This one is a bit more difficult and took a little more studying of the pictures. Manyoni is on her way somewhere and has a long way to go to get there! Where in the world could she be going as she crosses the fever tree pan into the kloof past the koppies and over the krantz? I gave my kiddos a chart and read the story taking care to stop and study the pictures as we went. They talked over the words and pictures with their partners and filled in the chart. Then, we worked together as a class to fill in an anchor chart (no surprise) and revise our thinking. Both books have a glossary at the end that explains the words in the book, so we compared our inferences to the real meanings. We did pretty well. We also talked about how being close is good enough. We don't let the word win! If you are looking for either of these wonderful books, you can get them here through this affiliate link: (affiliate links provided to fund future Book Talk Tuesday book purchases!) I make a small commission at no extra cost to you! Thanks for your support! Of course, I have a freebie for you! 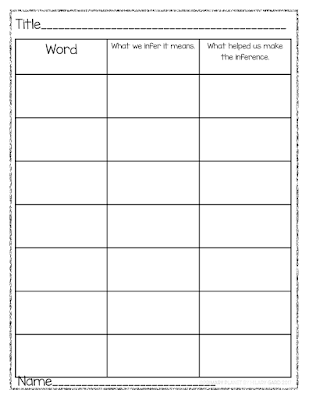 It is a chart similar to the one above specifically for Baloney, but I have included a blank chart to use with any book! Just click on the pics below to get yours! 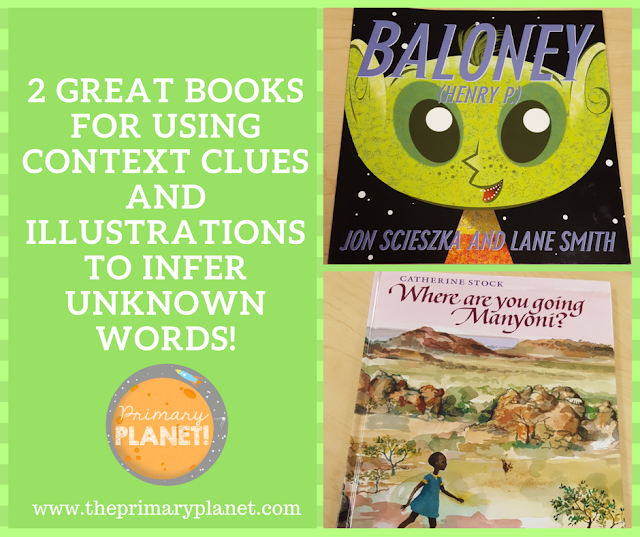 Do you have a favorite book for teaching Context Clues? I would love to hear yours, leave me a comment below! Don't miss out on any freebies! Subscribe to my e-mail list for fun tips, ideas, and (of course) freebies! 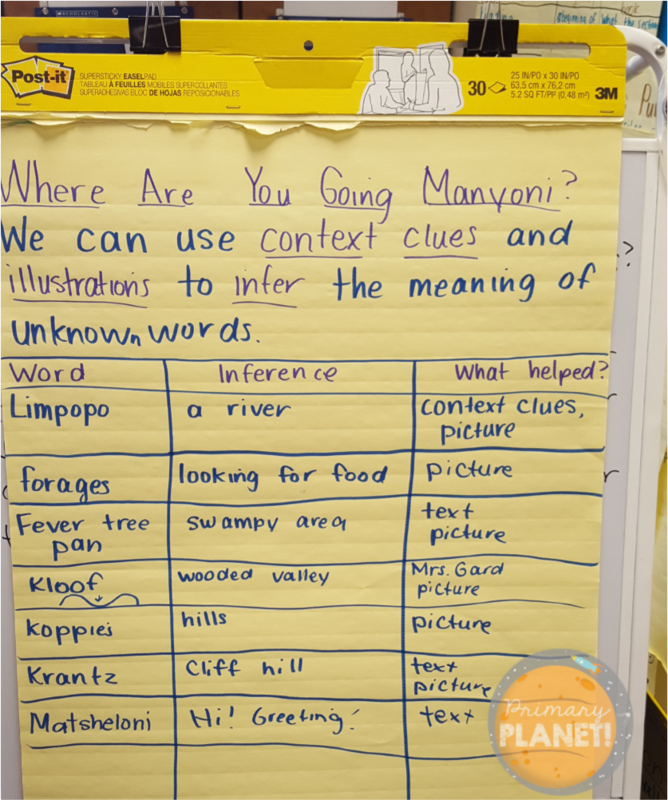 5 comments Baloney (Henry P.), Book Talk Tuesday, Context Clues, Where are You Going Manyoni? Thank you for this post. I can't wait to learn more about this book. Kids love Jon Scieszka's books! I love the tips, and both books are great recommendations. Thank you for the freebie and for joining in the link up!